This is a fantastic robot kit for children that combines science with the important task of recycling. Promote dexterity and follow the instructions. Children can learn how the new robot works, how the cams work, why the can produces that strange buzz and all kinds of interesting things about resonance. Follow the simple instructions to easily assemble all parts, slide the recycled can into the body rings, install the batteries and start the engine. That’s how your new tin robot comes to life! Googly eyes and long curly straw arms twist in all sorts of silly positions while your new recycled friend dances happily on the table. Meanwhile, children can discover all kinds of fun facts about technology and science while reading the included manual. Learn more about how your new robot works, how cameras work, why the can produces that strange buzz and all kinds of interesting things resonate. See? Is not it better than sending to the dumpster? 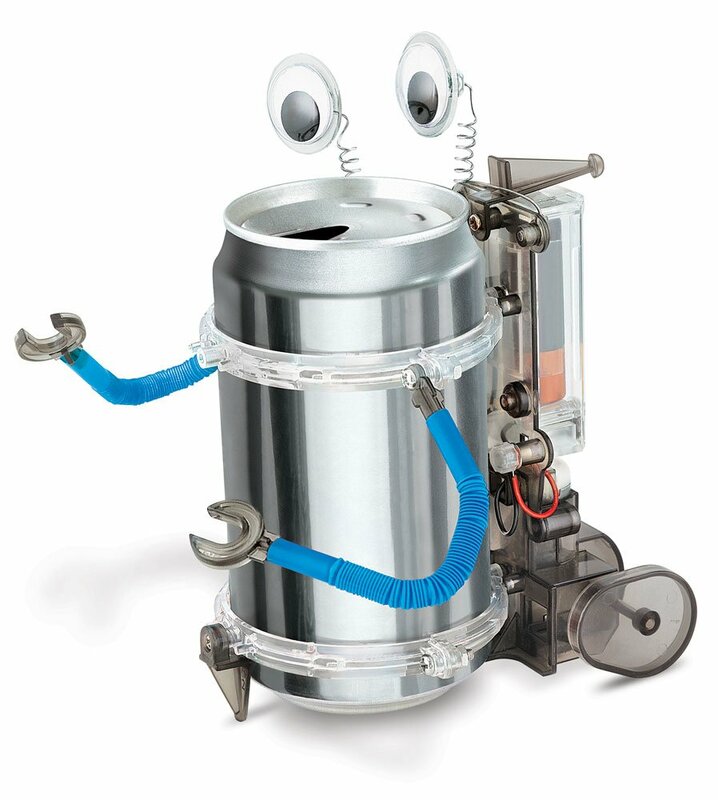 Discover the fun of recycling and learn all about science and technology with the 4M can robot kit. Includes 4 body rings, 1 short leg, 1 long leg, 2 tweezers, 2 tips of straw, 1 toy motor with gears, screws, 4 screws and nuts, 2 side covers, 1 battery compartment with lid and cables , 2 moving eyes, 2 plastic feet, 1 motor / axle cover, 1 axle with gearbox, 1 body panel, 2 flexible straws, 2 metal cables, 2 eye base plates and detailed instructions. Requires two AAA batteries (not included). Children will improve their fine motor skills by squeezing and grasping kit parts and manipulating their fingers to assemble the robot. Children will also work on their cognitive skills as they follow the instructions and think logically.